We are incredibly lucky to be working with Springboard supplies to review their children's craft activities. Springboard supplies high quality educational resources for groups like nurseries, schools and brownies. This is actually our second box, due to illness over Christmas I haven't blog about the Christmas crafts yet. I do still intend to as they really are fabulous! 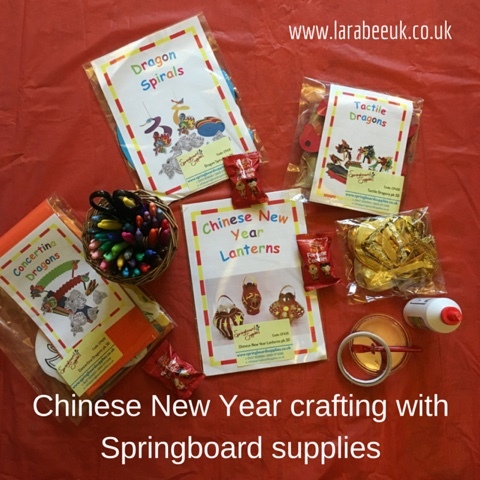 I loved the Chinese New Year crafts in our box, they are all so original. 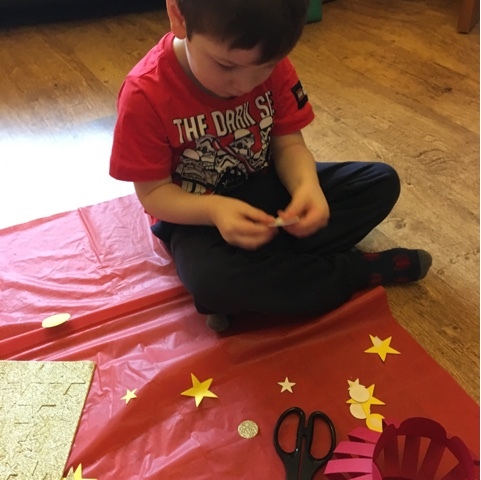 Each project is made from good quality paper and card, the gold glitter paper in our lantern kit is really glittery and doesn't shed its glitter easily as so many do. In no time T and I had made this fantastic lantern for our dinner table, we are popping a battery candle in ours for our Chinese meal. 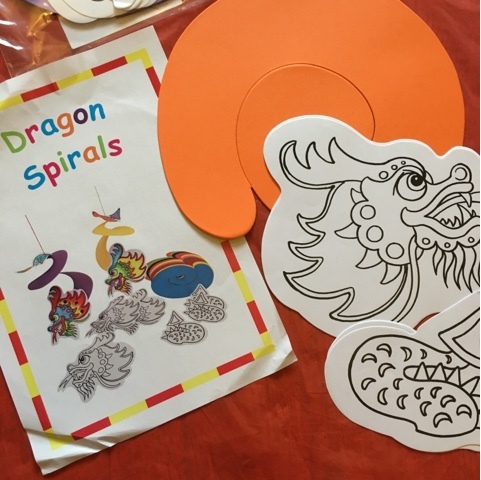 The drawing of the dragon on the dragon spirals and concertinas is really good, just enough detail to keep colourful but not too much that they are daunting for smaller hands. We used sharpies on ours and the thick paper held up really well producing vibrant and colourful dragons without tearing. 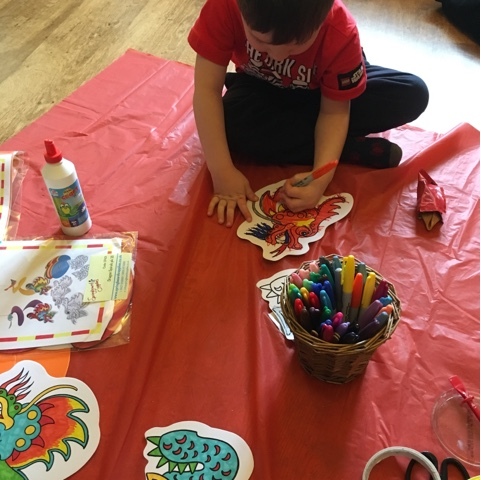 As well as these crafts we also received tactile dragons which contain everything needed to make beautiful material decorated dragon puppets. 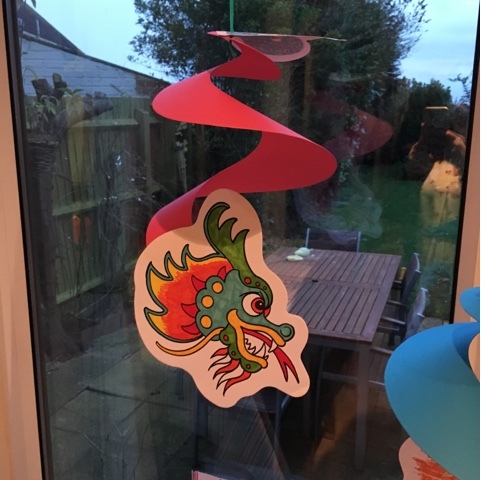 And concertina dragons, we've not yet made these but will be doing them soon and decorating our home for Chinese New Year. 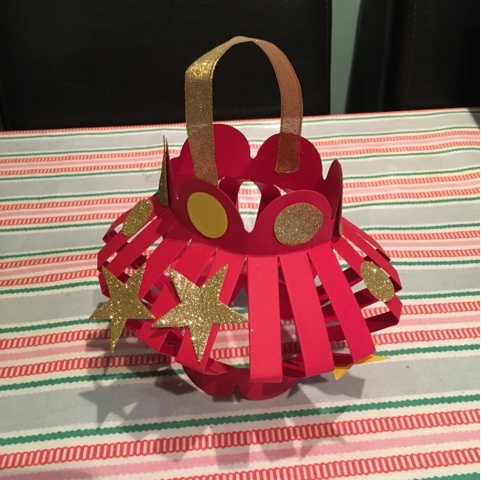 Crafting is such a great way of introducing new cultures and celebrations to children and I think any member of a club or group would love to make one of these lovely original crafts to take home. Packs are very reasonably priced too and as I said above contain good quality components. For example Chinese New Year lanterns are £11.94 for 30 so they are amazing value! I'd love to see smaller packs available for parents to use too. I plan to send out packs first class the same day. Keep an eye out on social media for our other crafts from Springboard supplies and for our Christmas and Easter posts. 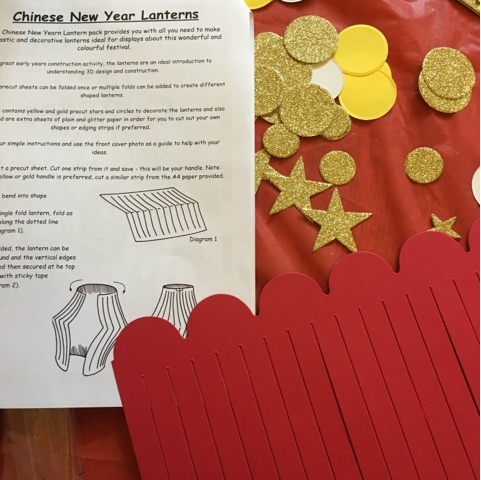 My son has loved learning about the Chinese New Year at school. Thanks to him I now know it is the year of the goat and will be the year of the monkey!